Since being discovered by Ed Sheeran aged 16, it’s probably fair to say that Nina Nesbitt’s songs about heartbreak and staying out with her mates are bit, well, juvenile. But she’s been transformed. Now 21, she’s just released her new EP Modern Love, and it’s clear this is bridging a gap to Nina 2.0 – sassy, confident and mature. Nina 2.0 is definitely most obvious right from the start of Modern Love in opening track Chewing Gum. It’s a massive departure from what we’ve heard from her before, utilising airy synths and a pulsing drumbeat to showcase her much improved vocal and couldn’t-care-less attitude in her lyrics. It’s an image that suits her too, and it’s a lot more interesting to listen to than soppy break-up songs as shown on debut album Peroxide. The other two original songs on Modern Love are more ballad-like, but are far and away better than anything Nesbitt has done before. Masquerade is the closest to one of those aforementioned soppy ballads from Peroxide on here, but there’s a lot more depth to the emotions portrayed in this track than the go-to “he broke my heart, I want to cry” of a year or two ago. The spellbinding Take You To Heaven is the best example of Nina exploring her strengthened vocal range to its full capacity. It’s sweet, tender, and points to exciting new directions for her career beyond clichéd guitar-bearing singer-songwriter. But it’s clear that Chewing Gum is the backbone of this EP. Not only does the single version open proceedings, but an acoustic version and remix round things off. It does overwhelm the five-song EP considerably. The heavy-on-the-bass-drum acoustic version is okay and provides a fresh take on the track, but the just under six-minute-long remix is completely pointless. 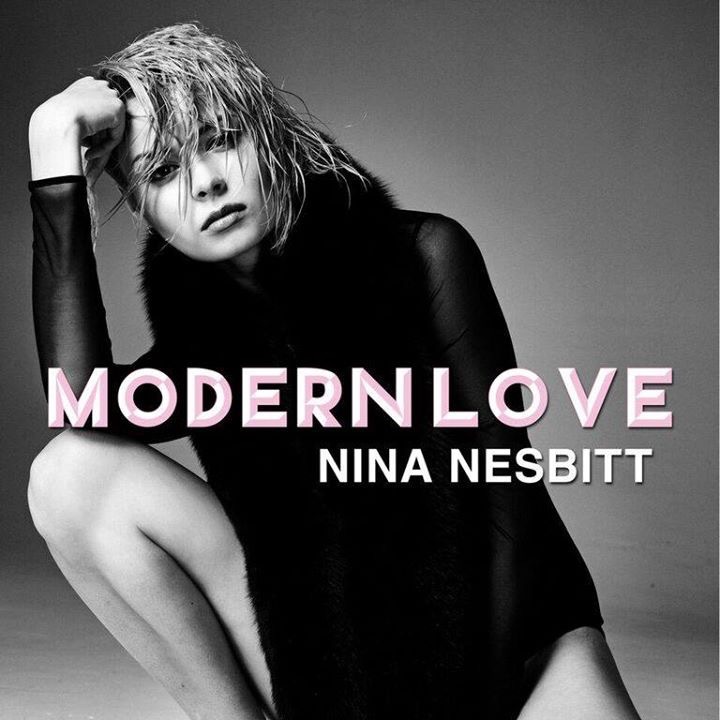 The material on Modern Love is a bite-sized taster of what’s to come for Nina Nesbitt, and honestly, the future looks very exciting indeed. While providing an EP of five songs where three of them are the same may not be the best showcase of new music, Modern Love will definitely get fans positively itching for new material. Welcome, Nina 2.0. ‘Modern Love’ by Nina Nesbitt is out now on Universal.